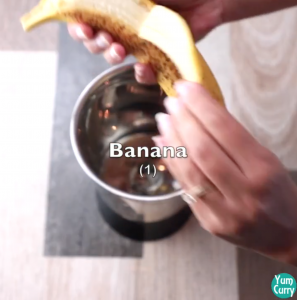 Banana is known for its instant energy. 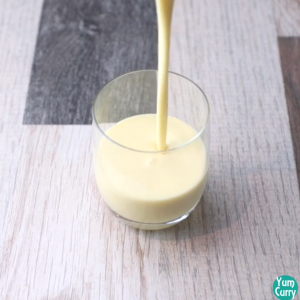 Banana lassi is prepared with curd and banana. Its good option to have during navratri or fast, because banana is high in sugar and potassium it can provide you instant energy and keep you full for longer. Lassi is popular dish north Indian drink. 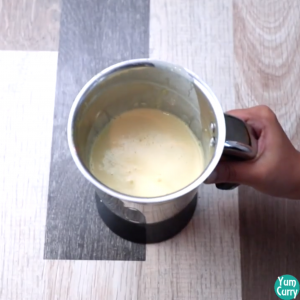 Lassi can be prepared in two ways sweet and salty. salty lassi prepared by using curd, salt and species, whereas sweet lassi is prepared by curd sugar and malai(clotted cream). You can find this mouth watering drink in almost every dairy shop and hotels in northern India specially during summer. Traditionally lassi is prepared by using curd and sugar, but as people love to change their taste. 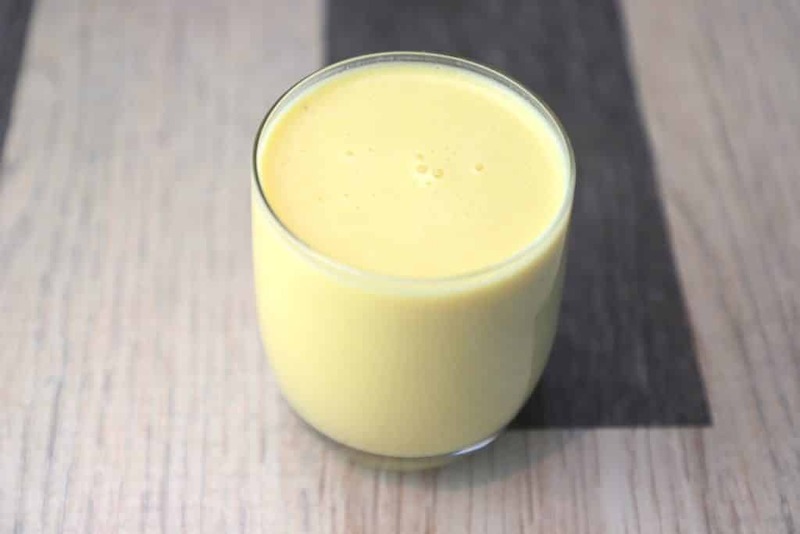 There are lots of changes are made in traditional lassi and now it is available in many flavours like mango, kesar, ilachi, vanilla, strawberry and so many. Food in punjabi is incomplete without a glass of lassi, traditionally a big glass of lassi is enjoy with any meal. 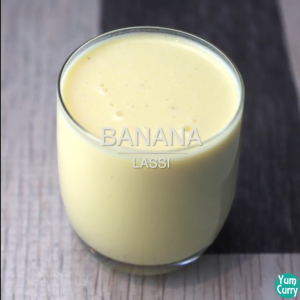 Today I am sharing recipe of banana lassi, banana is evergreen fruits and can easily find in any weather. 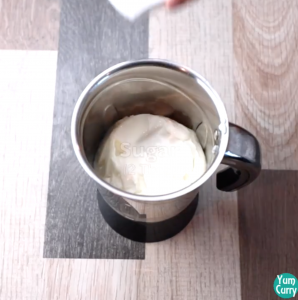 1.To get that perfect smooth texture use thick and set curd. 2. 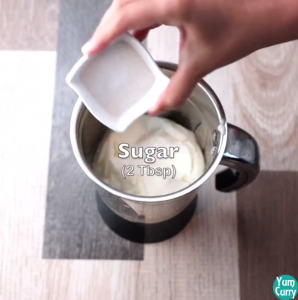 Curd should not be old or sour use fresh curd. 3. 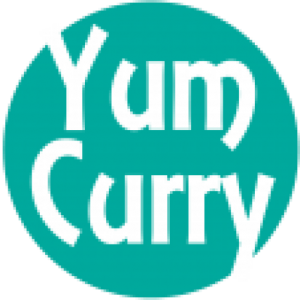 Sugar is optional and quantity can be adjusted according to taste. 4. You can add any nuts of your choice for garnishing. 1. Add 8-10 strands of saffron in 1 tbsp of water. soak for 15 minutes. 2. Take one medium sized peeled banana, Add in to blender. 3. 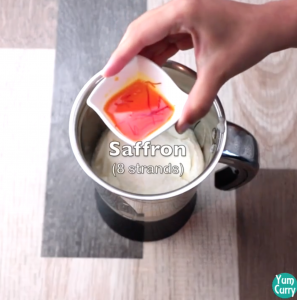 Add 1 cup curd, sugar and saffron infused water to blender and blend to make smooth paste. 4. I have used chilled curd, you can also keep in fridge or add some ice cubes, if you like more chilled lassi. 5. Take a serving glass and pour mixture to it. 6. Banana lassi is ready serve chill.